The Matthews is a beautifully presented, three bedroom property set out over three storeys that sits within the popular Foxhall Village development; a brand new Urban Village located in the heart of Blackpool. Prices start from 40,000 based on a 25% share value. The Matthews features an entrance hall comprising cloaks/WC which leads you into and open-plan living space with modern kitchen and dining area/family. From here, you have access to the rear garden via patio doors. The lounge can be found on the first floor, along with two bedrooms and a modern family bathroom. Finally, the second floor is home a further bedroom and a storage cupboard. 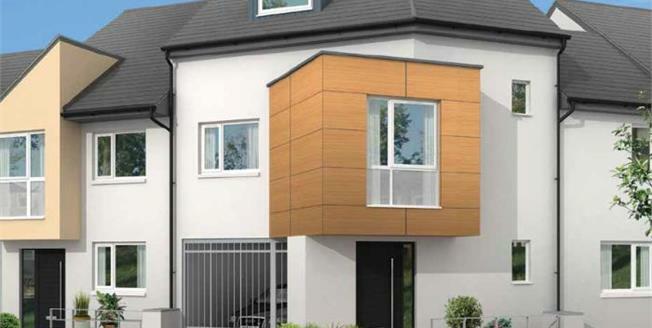 Externally, the Matthews offers car port parking and a rear garden. Foxhall Village is a pebble's throw from the beach and the Fylde coast's seven miles of golden sands. It's also a hop skip and jump away from Blackpool's Promenade. The spectacular Tower ballroom, historic Central Pier and the renowned Winter Gardens are all within a brisk walk. Most homes in Foxhall Village will also have impressive views of the iconic Blackpool Tower, underlining the unique quality of the location. If you want to venture further afield, Blackpool has easy access to the region's motorway network, with the M55 linking directly with the M6. Manchester, Liverpool and the breath-taking scenery of the Lake District National Park are within an hour's drive.